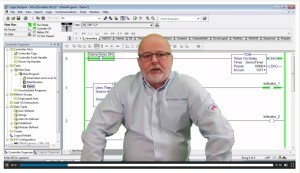 You don’t have to go directly to the manufacturer for great PLC Training. Our experienced instructors provide the highest quality hands-on training. LIVE e-Learning PLC Training from the comfort of your home or office. NEW TIA Portal & Night Schools! We are always looking for new instructors! What Type of PLC Training is Right for Me? Has it been awhile since you’ve worked with PLCs? Need a resource for a basic understanding of your PLC? Get PLC training at your own pace with a subscription to our online videos either Allen-Bradley ControlLogix or Siemens S7-300/400.